Looking for the perfect gift, but can't decide which one to purchase? 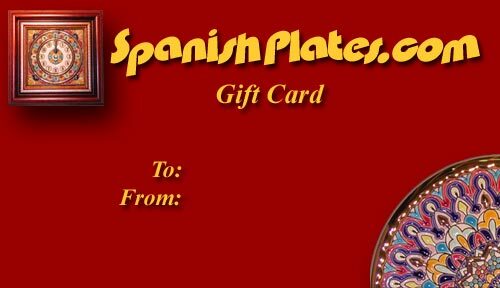 Send them a SpanishPlates.com gift certificate and let them decide. There are 2 ways to send your gift certificate, either by U.S. mail or by email. U.S. mail gift certificates are sent within 24 hours and email gift certificates are processed and sent the same day they are received.